Piedmont Unitarian Universalist Church: STONE CAIRNS? Ever wonder what Stone Cairns are all about? They show the people who arrive after, that someone has been there before and built something to make the world a better place. They mark the way to provide a direction for the future. They have foundations and often are built upon by the later people. March is a time when members choose to participate in building our foundation to sustain a bigger and better future. March is Piedmont Unitarian Universalist Church’s time of generous giving through pledge promises for the next fiscal year, which starts this July 1. Sunday, March 2, we formally launch the pledge drive-making an announcement during the services, giving out stickers to those who have pre-pledged, handing out a trifold brochure insert to the Order of Service, and emailing all members that they have a choice this year on how to make their pledge. Easiest for us and you is using the online pledge form at www.puuc.org/give.html for the 2014-15 year. Or you can email stewardship@puuc.org with your amount, how you often you will pay and any contact changes. You can go the old route; filling out a paper pledge form, found during the services on a back table. In Charlotte, they will be next to the Generosity Box on the back counter, where you can submit your paper form for the next few weeks. Lastly, you can turn in your pledge at the March 21 and 22 Piedmont UU Church Connects dinner, where we will celebrate our thriving community. Those who have pre pledged are included. AND this year, there will be no pledge packages mailed to you. Just an email Sunday or Monday, inviting you to choose “How Would You Like to Pledge?" You can let us know if you want a canvass visit or phone call or None of the Above! There will be a link to the pledge form and the stewardship Co chair email address to make pledging so so easy. Pledge of financial support is a duty of membership and a means to deepening your spirituality. We hope that PUUC is an appreciated priority in your lives. 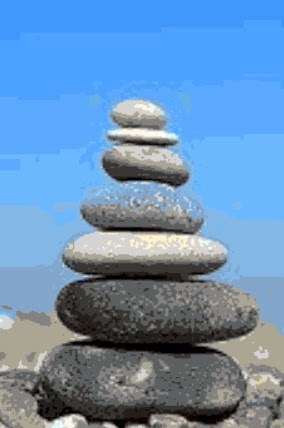 In the next few days, think about how big a stone you will add to our cairn and then let us know. PS Watch for the Stone Cairn Thermometer of Pledges.